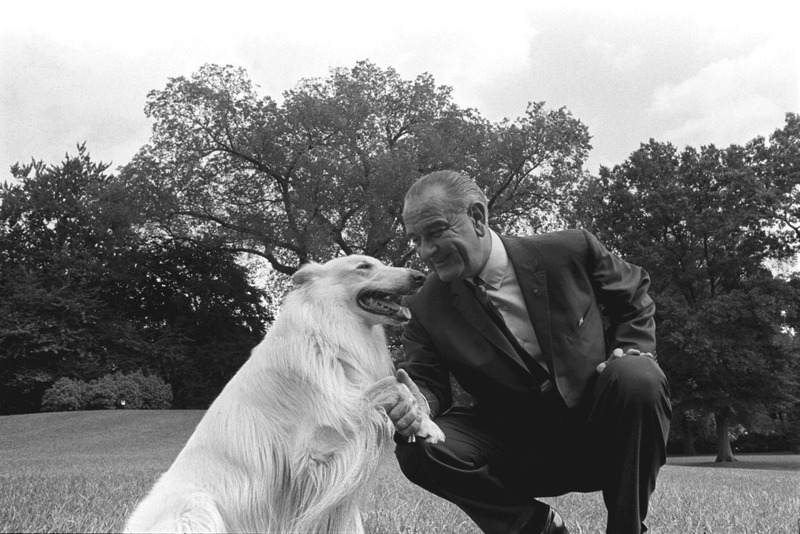 President Lyndon Johnson with Blanco, a white collie, Sept. 22, 1966. 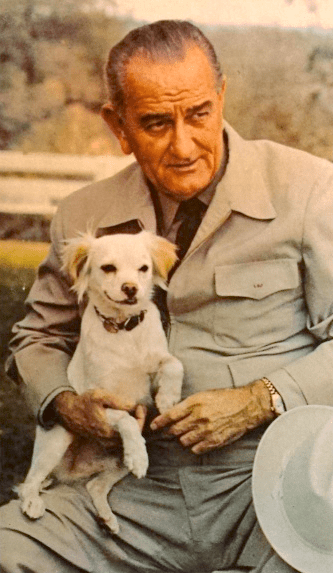 Lyndon B. Johnson, who became our 36th president after John F. Kennedy was assassinated, was a tried-and-true dog lover. 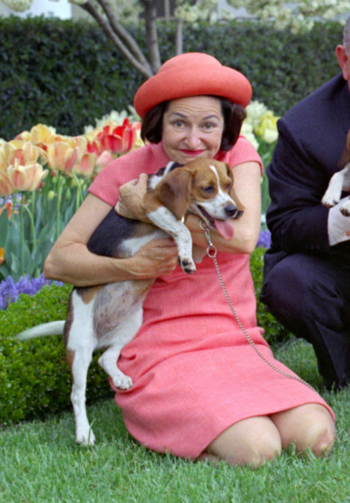 Although his most famous dogs were his often-photographed beagles, Him and Her, President Johnson also had several other dogs during his administration. 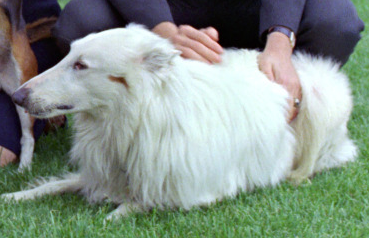 One of his favorites was a white collie named Blanco. Blanco, which means “white” in Spanish, was born on July 19, 1963, with the registered name of Leader Blair Jamie of Edlen. The puppy was given to President and Mrs. Johnson as a holiday gift from a 9-year-old girl from Illinois named Lois Nelson. The president accepted the gift, but he announced that Blanco was symbolic of all the dogs that had been offered to him, and that he would not be accepting any other dogs. 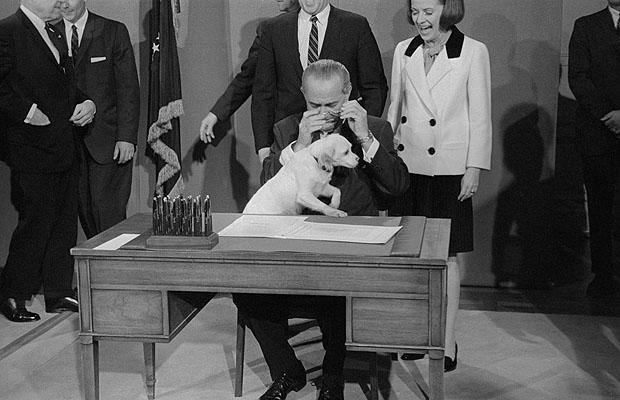 LBJ reportedly enjoyed shaking hands with Blanco when he returned to the White House, but Blanco tended to be nervous and was prone to biting other dogs. Blanco bit Him the beagle as well as another beagle named Edgar. That wound required stitches. Blanco further distinguished himself by peeing on a sculpture by Alexander Calder that was on loan to the White House from the Museum of Modern Art in New York. Christmas card photo of President Johnson with Blanco and Him. The president was loyal to the collie, however, and had a photo of himself standing next to Blanco and Him made into a White House Christmas card. Each card was signed with Johnson’s signature as well as the paw prints of the two dogs. Before leaving the White House, the Johnsons gave Blanco to a Kentucky doctor and his wife. Blanco died at age 11 in September 1974 of an apparent heart attack. 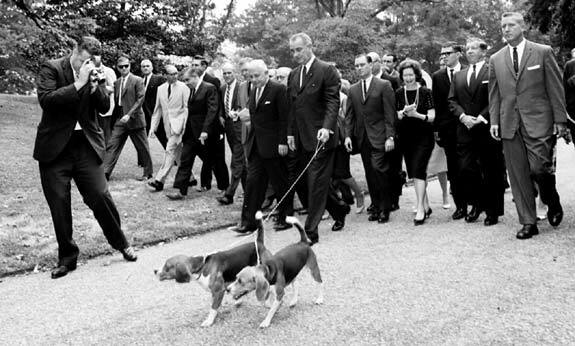 President Lyndon B. Johnson takes Him and Her on a walk with the press, August 18, 1964. LBJ Library photo by Cecil Stoughton. 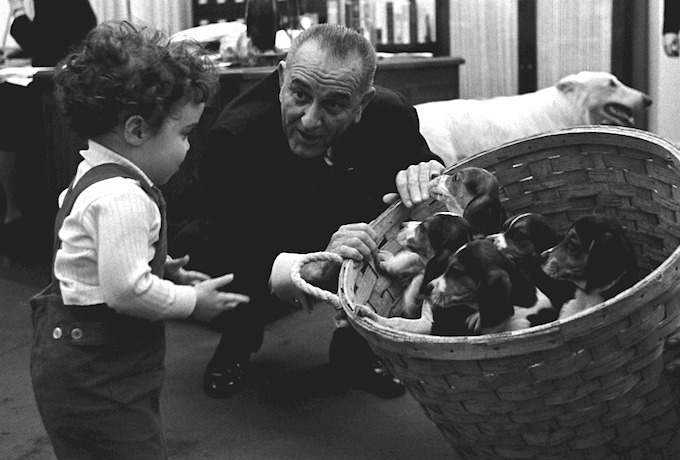 LBJ loved dogs — and by all accounts, they loved him. Largely thanks to photographs in Life magazine in 1964 — including a colorful cover portrait and an unfortunate ear-pulling one inside — Johnson’s beagles, Him and Her, became national celebrities. Hundreds of phone calls, telegrams, and letters came in from angry dog lovers. “If someone picked you up by the ears, you’d yelp, too,” an ASPCA spokesman said. President Johnson caused a storm of protest when he lifted Him by his ears. LBJ Library photo by Yoichi R. Okamoto. Him and Her were indeed frequent sights in the LBJ White House, whether they were riding along in the president’s car, snoozing in the Oval Office, or swimming in the White House pool. Johnson included the pair in his visits with heads of states, even though Him once peed in a chair during a formal tea party. President Johnson’s dogs Him and Her. LBJ Library photo by Yoichi R. Okamoto. 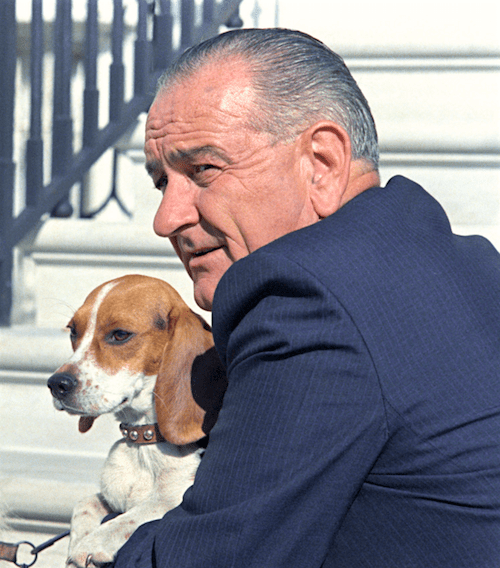 Whatever Happened to LBJ’s Beagles? 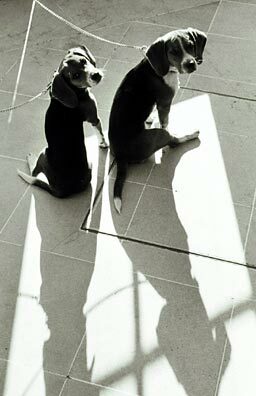 Both dogs were born on June 27, 1963. 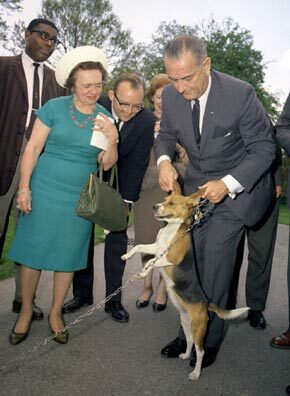 Then–Vice President Johnson, who was apparently terrible at naming dogs, had a dog named Beagle that was the father of Him and Her. Him was bred with another beagle in 1965, and two of that litter, Freckles and Kim, were given to the president’s daughter, Luci, to keep as pets. After her marriage, Luci took Kim with her to her new home, but Freckles remained at the White House. Sadly, both Him and Her died at a young age. Her died after swallowing a stone in 1964, and Him was hit and killed by a car when he was chasing a squirrel across the White House property in 1966. The beagles had two partners in crime at the White House, however: Blanco, a pure-white collie, and Yuki, a personable white mutt. 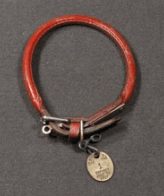 After Him and Her died, FBI chief J. Edgar Hoover gave Johnson another beagle, which the president named J. Edgar — later shortened to Edgar — in the giver’s honor. 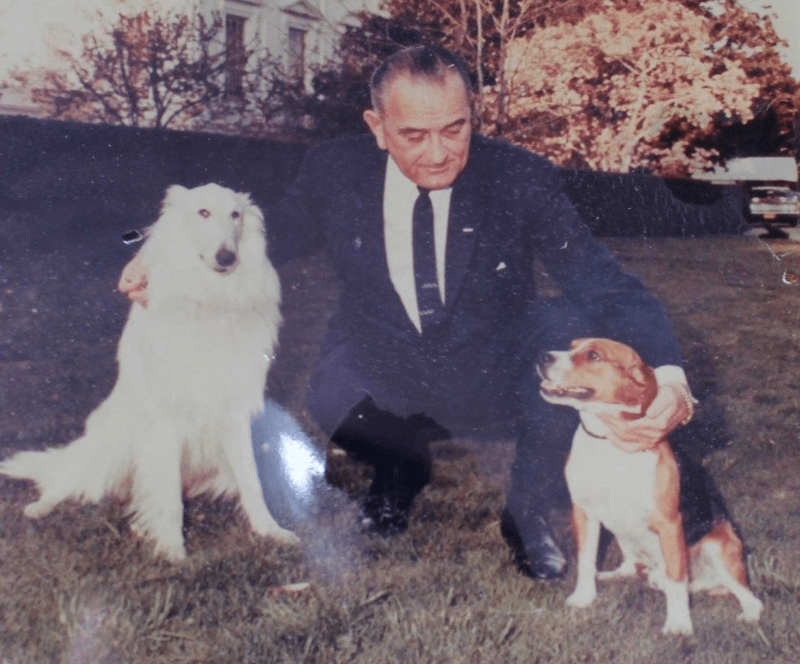 “Any man who felt about dogs the way [Johnson] did would have won me over,” noted Traphes Bryant, author of Dog Days at the White House: The Outrageous Memoirs of the Presidential Kennel Keeper (affiliate link).